Delayed treatment for Cauliflower Ears is difficult and frustrating. Often the skin is supper-glued down to the old hematoma, which has the consistency of cement. The normal supporting architecture of the ear, the cartilage, often disintegrates from the pressure, and parts of it may not be available to support the reconstruction.. 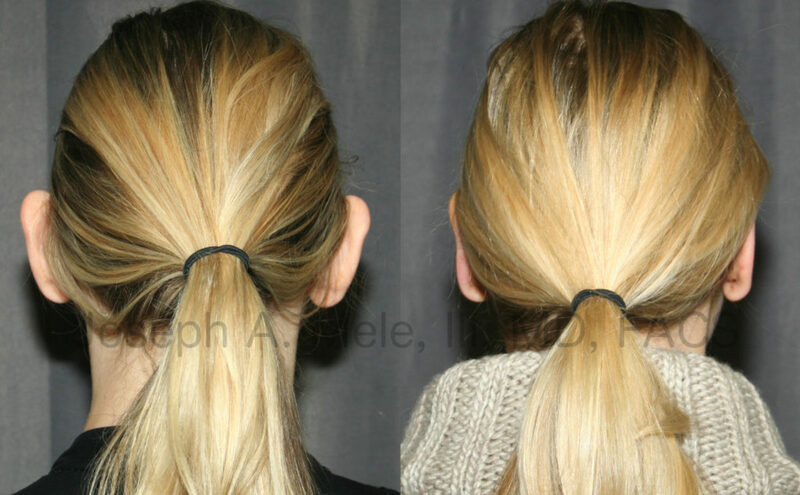 Prominent Ears can be a source of embarrassment for many patients; however, we are happy to offer a solution. Otoplasty, literally means ear changing, and it is a common cosmetic plastic surgery procedure which “pins” the ears back. By bringing the ears closer to the head, Ear Pinning allows for the enjoyment of shorter hair cuts and ponytails, and can be a huge confidence builder for those that worry about sticky-out ears. Otoplasty is ear changing. The most common is ear pinning, to reduce the projection of the ears sideways. Other variations include the correction of Stahl’s ear (Spock’s ear) or cupped ears. Enlarged earlobes can also be reduced. Board Certified San Francisco Bay Area Plastic Surgeon, Dr. Joseph Mele, explains. Prominent ears can be a source of embarrassment and teasing. Cosmetic Ear Surgery (Otoplasty) includes Ear Pinning to reduce the appearance of prominent ears. This video segment is from the San Francisco Bay Area’s News Station, KRON 4’s, Body Beautiful with Dr. Joseph Mele. On it, Dr. Mele reviews the techniques, recovery and procedure of Otoplasty, and illustrates the results with Otoplasty Before and After Pictures. The next Body Beautiful will be broadcast this Tuesday, September 12, at noon. This week’s show is dedicated to four Cosmetic Plastic Surgery Procedures: Tummy Tuck (Abdominoplasty), Breast Augmentation Revision, Gynecomastia Reduction (Male Breast Reduction) and Otoplasty (Ear Pinning). Ears come in all shapes and sizes. If you like your ears, Otoplasty is not for you, but if you feel your ears are too big, stick out too much or have an unusual shape, Cosmetic Ear Shaping Surgery may be just what the doctor ordered. Ear Pinning is an outpatient procedure. The majority of the work is accomplished through an incision placed in the crease behind the ear. 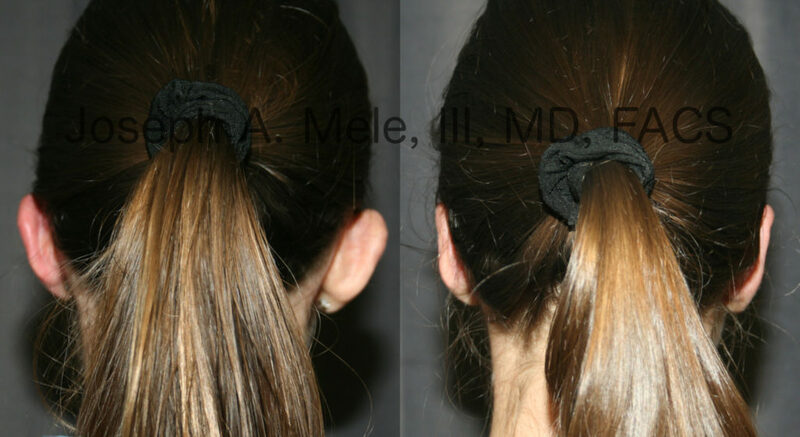 Thin, strong sutures are used to bend and hold the ear cartilage in it’s new, folded back position. As with most of plastic surgery, the goal just enough reduction, but not too much. The amount of Ear Pinning can be modified by adjusting the placement of the sutures and by scoring the cartilage along the desired path of bending. There are many reasons for having otoplasty. The most common by far is the correction of ears that stick out with an Ear Pinning procedure. However, many other ear deformities can also be addressed. The most common reasons for a prominant ear are: Incomplete folding – leaving the rim sticking out; a large central bell of the ear (the concha); and anterior rotation of the ear. Each of these deformities can be addressed with Otoplasty. 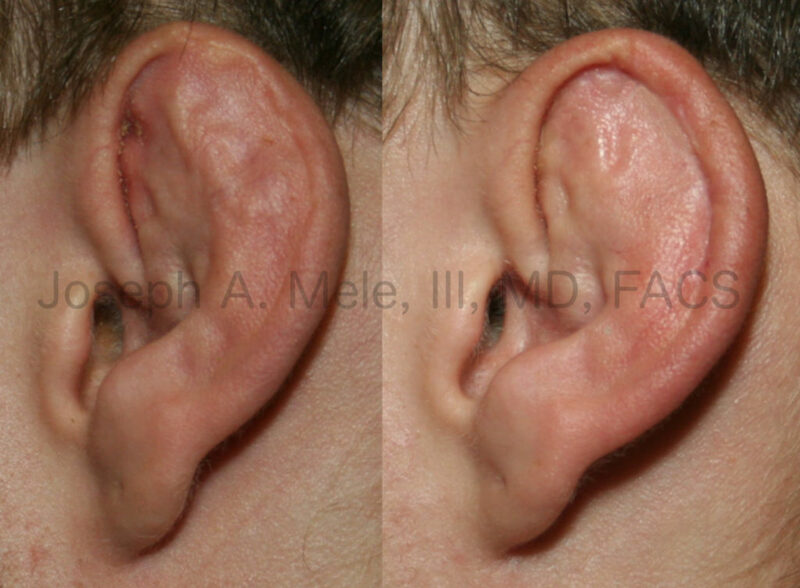 Incomplete folding is corrected with sutures, or by scoring the ear cartilage. 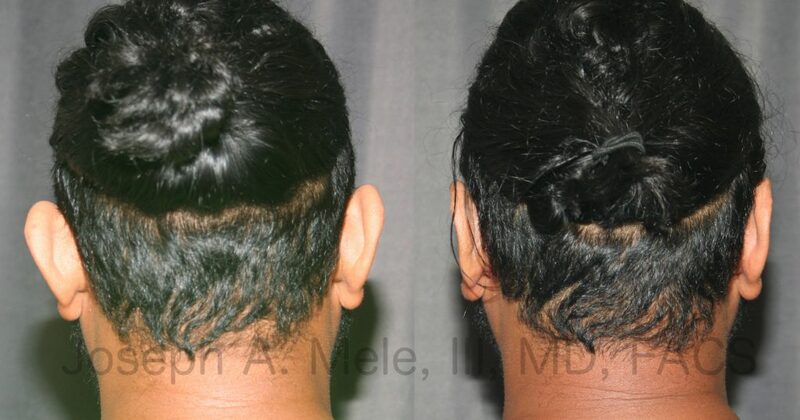 A large concha can be surgically reduced, and an anteriorly rotated ear can be set back. Most these corrections are done through an incision hidden in the fold behind the ears, so that it remains hidden, even with short hair-cuts.